Click for an Amazon.com discount! Order via secure server and save! Strategy is the key to success at the poker table; that's a mathematic fact. 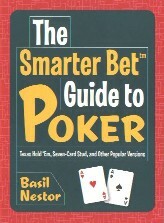 The Smarter Bet Guide to Poker gives you professional strategies for winning, and it makes poker easy to learn. 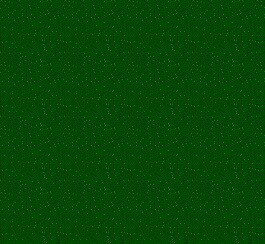 Everything is here in a clear-cut format: Starting hands, profitable table conditions, dangerous card combinations, techniques for reading opponents, and much more. Give yourself the best chance to beat the table (and have fun doing it) with The Smarter Bet Guide to Poker. Return to the bookstore main page. Any reprint or repost of material from this web site requires prior written approval.